Karina's Kreations: Stampin'Up Birthday Bright Project Kit! 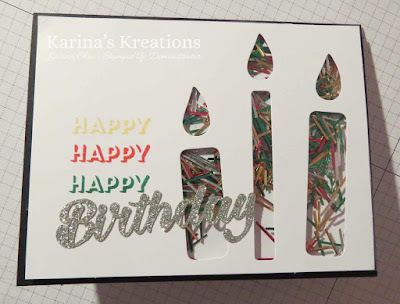 Stampin'Up Birthday Bright Project Kit! I'm playing with a new project kit called birthday bright which will be available Jan 4. The kit comes with supplies to make 12 cards and 12 gift tags. All you need are 5 colors of ink, adhesives and the coordinating Birthday Bright stamp set. I'm designing alternate projects for this fun class. I hope to finish them soon. This kit would make a great activity for you and a few friends. Email me at kchin2@telus.net if you want me to bring the supplies to your party. Stampin'Up has a great youtube video if you want to run the class yourself.